NIRAM FOUNDATION is creating awareness in Physically Challenged People about the availability of Rehabilitation Services (Surgery, Physiotherapy, Caliper, Wheelchair, etc. ), Education, Job opportunities, etc. ; at Government, Private, and NGO sectors. Mr. Nanjundappa, Head Master, Govt. Higher Primary School, Annedoddi, Kolaganahalli Post, Harohalli (Via), Kanakapura Taluk, Ramanagaram District, Karnataka, PIN 562112, Mobile Nos. 9916464711, 9448673137; brought to our notice (through Spandana, Dayananda Sagar University) about the children who were financially poor, many without parents - staying with their relatives (farmers) or with single parent and were seeking for an educational help. The list of the children (Students for Education Adoption) are looking forward for donors who could help them for their basic needs like: notebooks, bag, pens, pencils, uniform clothes, etc. *) Amount Rs.8,400/- on July 2018, for the four poor Children of Govt. School, for their educational needs. The estimated cost for the academic year 2018-19 is Rs.2100/- per annum per student. *) Amount Rs.8,120/- on May 2017, for the four poor Children of Govt. School, for their educational needs. The estimated cost for the academic year 2017-18 is Rs.2030/- per annum per student. *) Amount Rs.7,200/- on June 2016, for the four poor Children of Govt. School, for their educational needs. The estimated cost for the academic year 2016-17 is Rs.1800/- per annum per student. *) Amount Rs.6,750/- on June 2015, for the three poor Children (Students for Education Adoption) of Govt. School, for their educational needs. The estimated cost for the academic year 2015-16 is Rs.2250/- per annum per student. 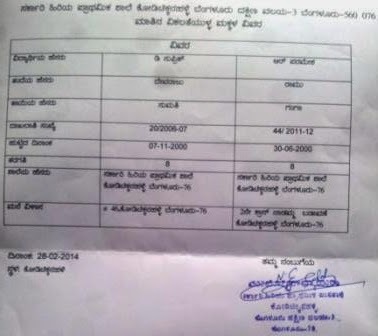 *) Amount Rs.10,000/- on May 2014, for the four poor Children (Page Number 1, 4, 9, 12) of Govt. School, for their educational needs. The estimated cost for the academic year 2014-15 is Rs.2500/- per annum per student. Thanks to donors for their kindly help. Participated in 'Voter Awareness Forum' organized by Karnataka 'Chief Electoral Officer'. NIRAM FOUNDATION has informed to many people for their participation for this great Human Right Voting Process. Participated in Central Vigilance Commission Awareness Campaign. NIRAM FOUNDATION has informed to many people for their participation for this greater initiative. Participated in Organ Donation Campaign. NIRAM FOUNDATION has informed to many people for their participation for this esteemed cause. and BMST Blood Bank (www.bmstindia.org) Camp at HCL. NIRAM FOUNDATION has given the Donation for the 'Cyclone/Flood Relief Fund' through 'CM Relief Fund' of Andhra Pradesh, Kerala, etc. NIRAM FOUNDATION has helped 'Shree Nandi Residency Security Person Mr. Subhash N' to open a Bank Account, on Oct'2017; and created an awareness about the importance of Card Payments. Mr. Subhash is very happy about of his first Bank Account. and Educational Books for Dayananda Sagar University Library Bengaluru, on 2014 and 2015. This contribution is really helpful for Students, Staff, and Visitors. Organizers: NIRAM FOUNDATION, Dayananda Sagar University. Mrs. Tulasi (M: 9731106975) is a Yoga teacher. She teaches Yoga in/around Bommanahalli and BTM Layout areas, Bangalore. 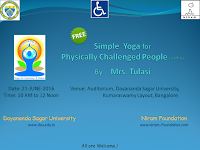 Special thanks to Mrs. Tulasi for clear explanation and demo about 'Simple Yoga'. NIRAM FOUNDATION has conducted the Autism awareness workshop for the Teachers with the help of 'IRC - Information & Resource Centre', on 18-July-2014 during the time 10 AM to 1 PM, at Kodichikkanahalli Govt School premises. Kodichikkanahalli, Devarachikkanahalli, Bilekahalli and Hongasandra Government School Teachers are participated in the workshop. Teachers are expressed their happiness about the learning points at workshop. Our sincere thanks to Teachers for their participation and IRC members (Mrs. Suma S and Mrs. Vasantha) for their guidelines. 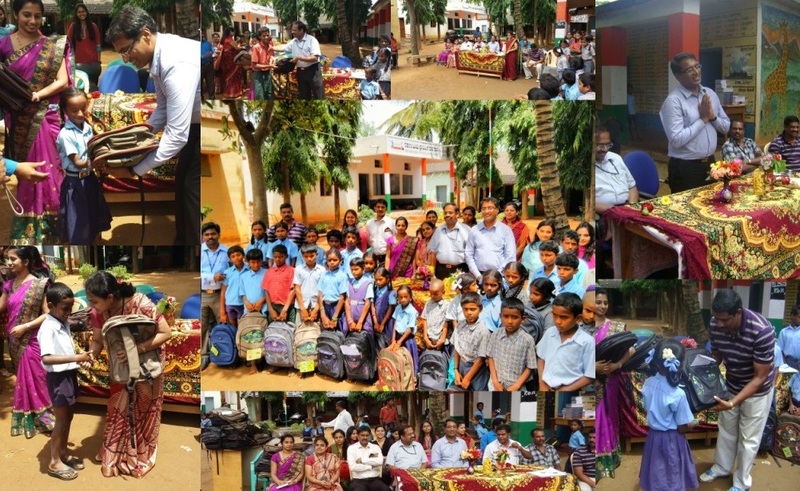 NIRAM FOUNDATION has visited Kodichikkanahalli Government School as part of our NGO activities; and collected information about children who are having Autism symptoms. We have submitted this report to 'IRC - Information & Resource Centre'; and requested them to provide their guidelines to children-parents to take care of children. 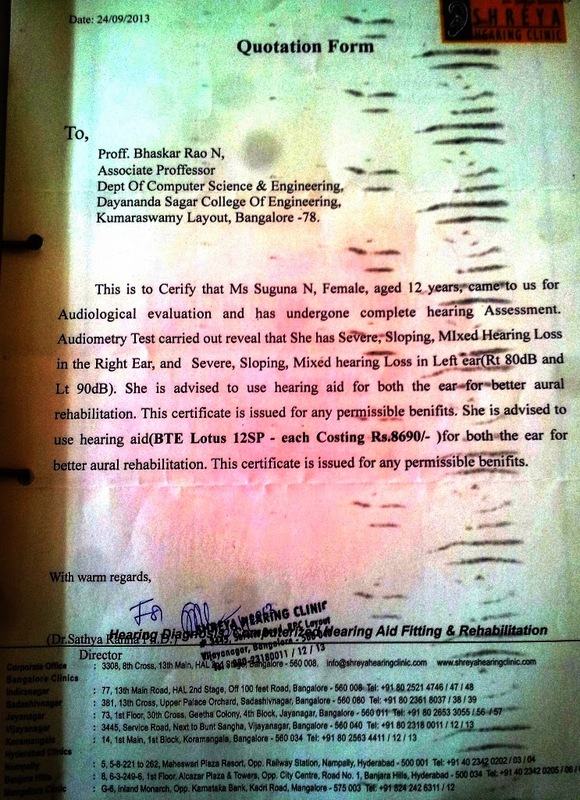 Prof. Bhaskara Rao N has given the Donation Hearing-Aid instrument (worth Rs.8300/-) for a Hearing-impaired Girl. NIRAM FOUNDATION has given the Donation for 'Surgery for Ms. Shabari'. 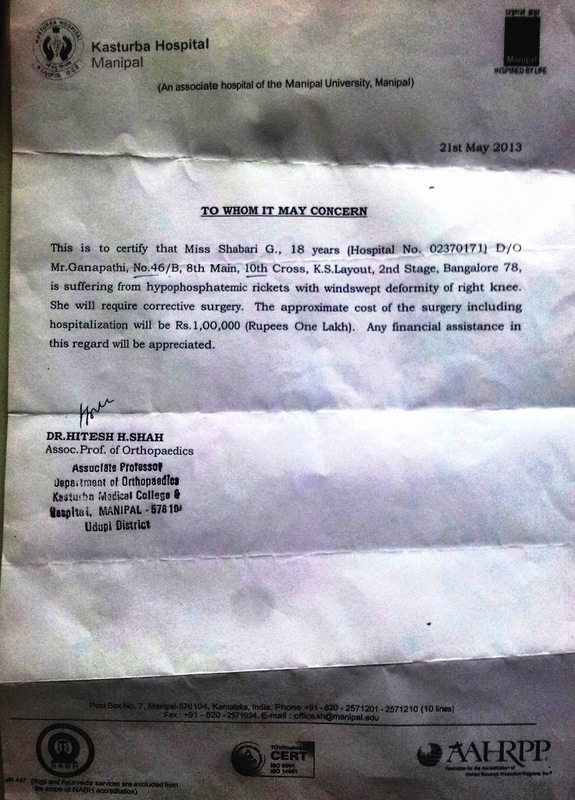 Patient Details: Ms. Shabari (Physically Challenged Person), D/o Mrs. Susheelamma (aaya), Dayananda Sagar College of Engineering, Kumaraswamy Layout, Bangalore- 560078. She is from poor family; and needs surgery for her two legs. She was facing much more difficulty during her college study. The Cost of surgery was Rs.1,00,000/-. Hospital has given concession till Rs.30,000/-. After the concession, the cost of surgery is Rs.70,000/-. Her family requested the NIRAM FOUNDATION for the amount Rs.35,000/-. We have collected the requested amount and provided the amount to her at the time surgery on 06-JULY-2013. The surgery was successful. Now, she is getting recovery through Physiotherapy. Life has been very unforgiving for Ms. Premamma, but, she rode against the tide with her determination for a dignified life. She is a 64 year old, living alone in a small hut in Chilakaluripet, Guntur District of Andhra Pradesh. She earns her living by selling groceries in her petty store. She manages all this in spite of being handicapped, with a tricycle. Her life came to a standstill when her tricycle broke down. Suddenly, she found herself dependent on others for fetching water, groceries for her store or meeting her daily needs. She had to crawl or take auto rickshaws for distances further than 30 meters which she cannot afford. Most of us cannot imagine that equipment worth just Rs.5000/- can bring down a dignified life. NIRAM FOUNDATION came to know about Ms. Premamma from its wide contacts. Moved by her plight, on 20th December 2012, we provided her a robust tricycle which would last for another 20 years, costing Rs.5000/-. Ms. Premamma is back to her normal life. More than the money, it is our commitment and drive to identify and help such underprivileged and neglected section of the society, that we take pride in. NIRAM FOUNDATION has given the Donation for the People who live in Orphanage Home and Oldage Home. 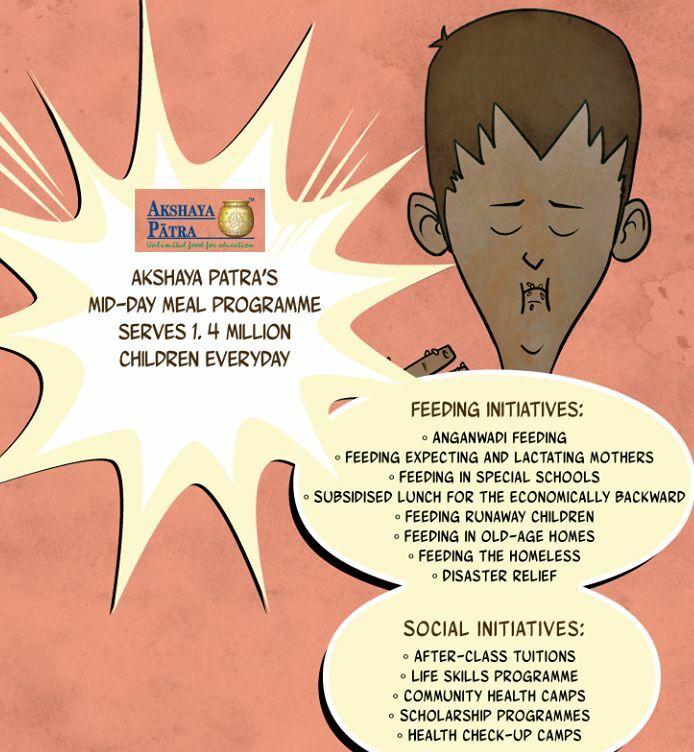 This contribution really helps to the People for their basic needs. NIRAM FOUNDATION has given the Donation (Amount Rs.8,800/-) for 'World Vision Child Sponsorship programme'. This contribution addresses issues that promote the overall development of the Children; through Education, Training and awareness programmes, clean drinking Water, Agricultural assistance and Health benefits. *) for Nitya Annadanam (Lifetime Food Donation) that is organized by Devotional Places (Temple, Masjid, etc.). This contribution is helpful for Devotees and Visitors. Devotional Places: Masjid on July 2013, Kukke Lord Subramanya Temple on Jan'2013, Vaikuntapuram Lord Venkateshwara Temple on July 2012, etc. 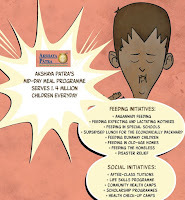 *) Amount Rs.36,001/- for 'Midday Meal programme for Government School Children', which is organized by the 'ISKCON Akshaya Patra', on Apr'2012. 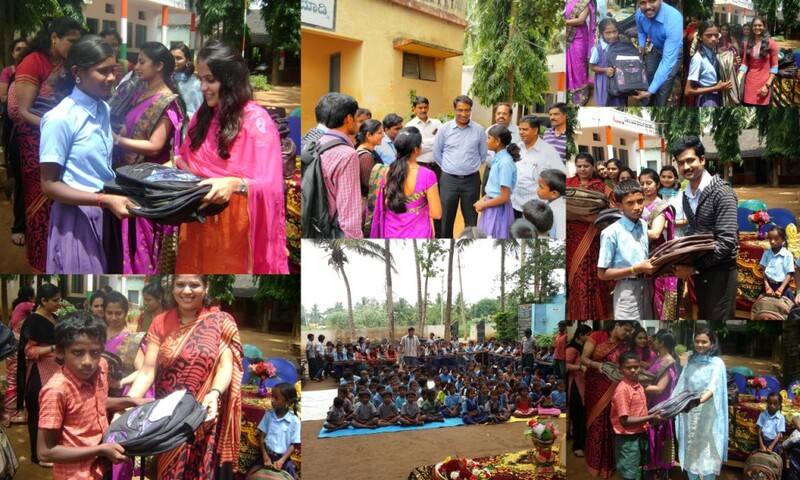 This contribution really helps to improve the children's attendance in Government Schools. Join NIRAM FOUNDATION and help us serve the neglected.